The National Institutes of Health (NIH) in Bethesda, Maryland, is opening the first mesothelioma clinical trial involving the immunotherapy drug Lynparza (olaparib), a protein inhibitor and targeted therapy already used effectively with breast and ovarian cancers. The phase II clinical trial, for patients previously treated with standard chemotherapy, is designed to gauge the response rate in pleural and peritoneal mesothelioma. Mesothelioma specialist Dr. Raffit Hassan of the National Cancer Institute (NCI) is the senior investigator for the single-center trial, which hopes to enroll at least 40 patients. Earlier research at University of Florida Health — published in October 2017 in Cancer Chemotherapy and Pharmacology — showed an impressive ability of Lynparza and niraparib, a similar drug, to “induce synthetic lethality” in mesothelioma cell lines in the laboratory. The University of Florida in Gainesville will be opening a clinical trial soon using niraparib with a variety of malignancies, including mesothelioma cancer. The NIH Clinical Center will be running its trial with Lynparza exclusively with mesothelioma, but parallel to the one at Florida. Both drugs are known protein inhibitors that target the same genetic mutation and offer a range of anti-tumor activity. With other cancers, both drugs have been most effective in treating patients with a mutation in the BRCA gene. The majority of patients with mesothelioma have a mutation in the BAP1 gene, which is closely related to BRCA. 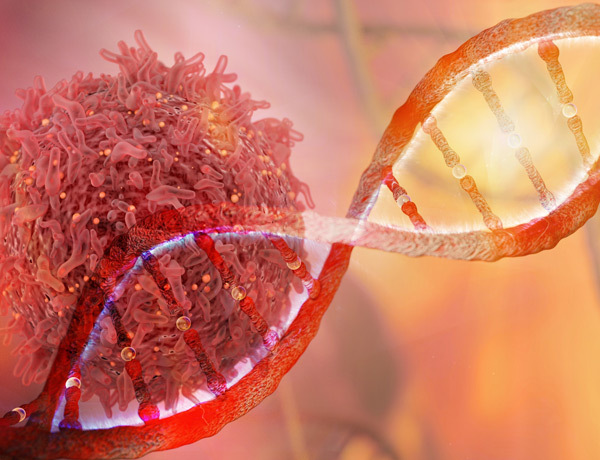 Investigators are hoping the relationship of the two genes may allow them to achieve similar results in mesothelioma to those in the breast and ovarian cancers. According to the NIH clinical trial summary for Lynparza, investigators also want to see if the drug works on mutations in other genes, or patients without any gene mutations. They will be looking for possible tumor shrinkage. The trial will involve taking the drug orally twice daily until the disease progresses or there are intolerable side effects. Patients will be monitored continually for safety and once every six weeks for efficacy. Enrollment for the trial will begin at the end of June. The trial is expected to last through 2020. To qualify for the study, patients must have progressive disease, already finished chemotherapy, and have a life expectancy of more than 16 weeks. The U.S. Food and Drug Administration (FDA) approved the use of Lynparza earlier this year for certain types of breast cancer. The approval was based on a phase III trial in which the use of Lynparza reduced the risk of disease progression by 42 percent. It also improved progression-free survival by 2.8 months over standard chemotherapy. “This approval demonstrates the current paradigm of developing drugs that target the underlying genetic causes of cancer, often across cancer types,” Dr. Richard Pazdur, FDA Oncology Center of Excellence director, said in announcing the approval. Lynparza was well tolerated with fewer than 2 percent of the patients discontinuing the trial because of toxicity. It was first approved for a narrow use for ovarian cancer in 2014, but that approval was expanded when patients without genetic mutations were responding in clinical trials. Hassan already is in the midst of three other clinical trials at NIH involving mesothelioma. The novel immunotoxin LMB-100, a man-made protein, and its ability to kill tumor cells. Combining LMB-100 and the drug SEL-100 to kill tumor cells in advanced disease. Tissue procurement for use in the study of mesothelioma. ClinicalTrials.gov. (2018, June 19). Olaparib in People With Malignant Mesothelioma. Srinivasan, G. et al. (2017, July 29). Synthetic lethality in malignant pleural mesothelioma with PARP1 inhibition. Broderick, Jason. (2017, October 17). FDA Approves Olaparib for BRCA+ Breast Cancer.